The Pay Car is Here! It's payday at Peters and the pay train has just arrived! "There, just coming around the curve, was a glittering vision of brass and varnish half hidden in a nimbus of smoke and dust. Two short blasts on a whistle greeted the gang, the vision hesitated for a minute, while the section men disappeared in the nimbus and reappeared as suddenly as if they'd been shot out of a gun, and here came this vision gliding up to the platform with bell ringing and pop valve sputtering sotto voce, like a young lady trying to suppress a ticklish cough. It was the pay car. At each joint in the engine jacket was a band of brass 4 inches wide. Dome, sand box, chests and cylinders were encased in brass polished until you could have seen to shave in it. Her front end and her dainty straight stack were rubbed with plumbago until they shone like a small boy's heel. All her brightwork was smooth and spotless and glittering, while all the rest of her surface was striped and curlicued with all the colors the general shops could mix. 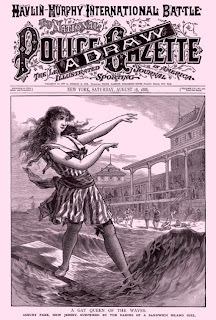 The S&C does employ women telegraph operators. Unlike the direct deposit "pay checks" of today, getting your monthly wages in the nineteenth century was a big affair. 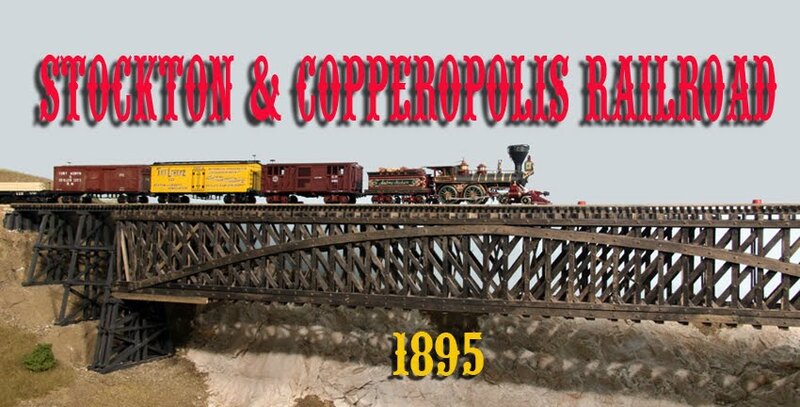 Most railroads dedicated a locomotive and car to the pay service and, on a large line, it spent most of its time running everywhere there was an employee of the railroad. You climbed aboard the car, signed the pay roll and received a stack (it didn't matter that it wasn't that tall) of gold and silver coins representing last month's work. I wanted the S&C to have its own pay car. Information on them is not that easy to find. There are a few old articles about the process and some text books advising how many men with rifles, pistols and cutlasses should be on the car but nothing really good for modeling. Most of the photos I saw were older, lighter locomotives but very well kept up with older, well-kept coaches converted to pay service. Based on these facts, I built my car. 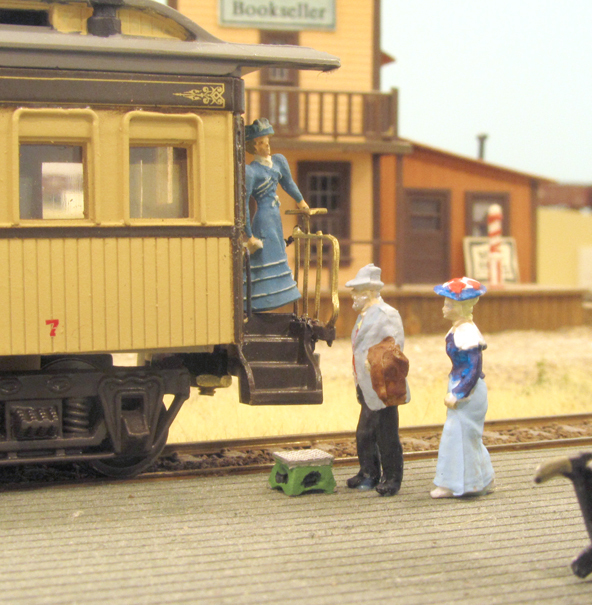 Built from a Bachmann old-time coach, the Aurelia serves as the S&C's pay car. 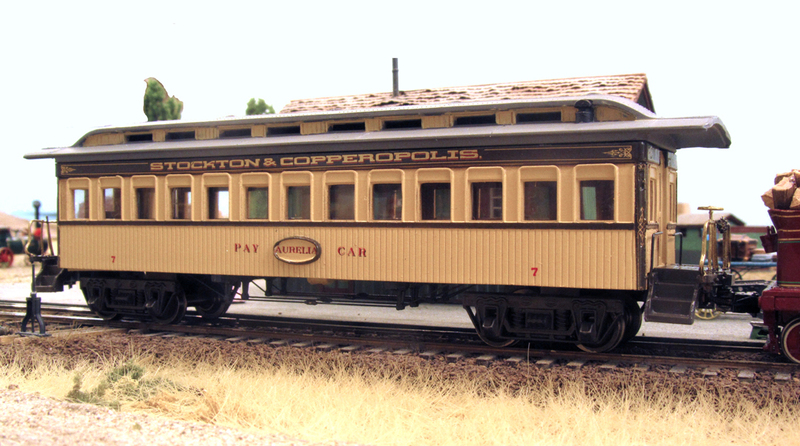 The basis of the car was a Bachmann old-time coach. There are several good features of this car. The windows are proportionally good and the roof is well-detailed. 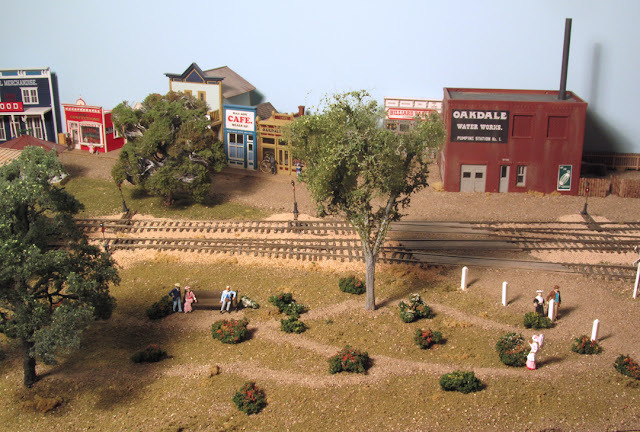 The trucks have the right wheelbase and appearance of 1870s-early 1880s trucks. I began by removing the over-large truss rods and end railings. 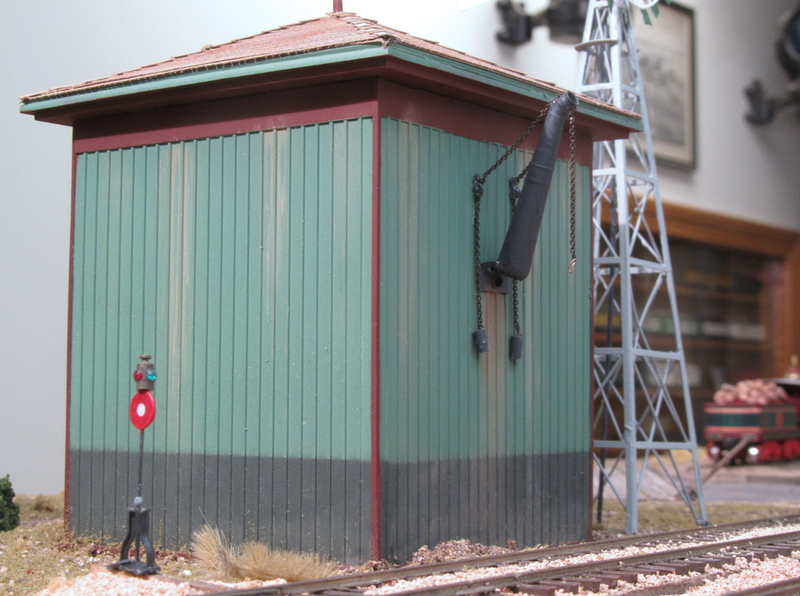 The truss rods were replaced with Grandt Line turnbuckles threaded onto nylon fishing line while new Cal-Scale end railings were used on the platforms. The old cast-on handrails were scraped off and wire was used to form new ones. Every once in a while, in a photo of an older car, you see molding arranged in an oval on the side of the car. This was used for the car's name or number. I wanted this effect on my car. The oval piece is from a Grandt Line structure dating set. This set comes with several "shields" on which to place the building date and one of them is an oval of about the right size. After painting in the standard S&C scheme, I added decals proclaiming the car's purpose along with its name, Aurelia, which is from the Latin for golden being, of course, what the car carried. 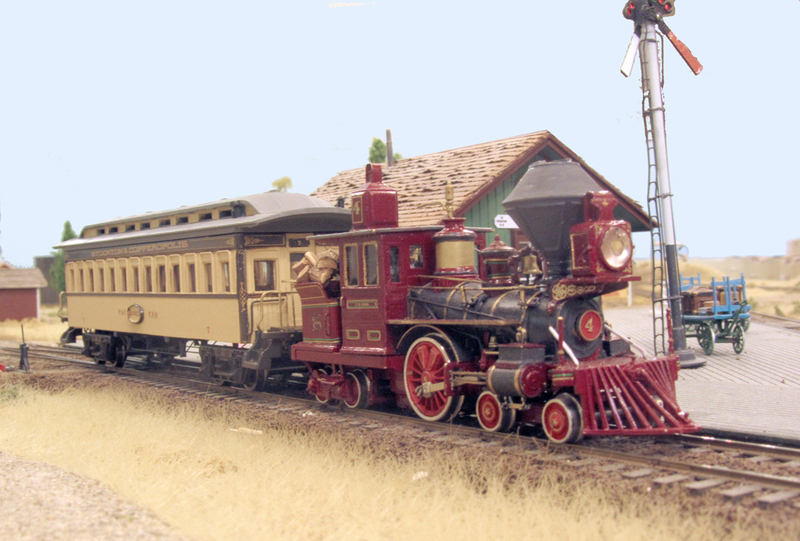 The locomotive, the C.A. Coscia, is the dedicated engine for the pay train and was discussed in my post on October 31, 2013. * __________, The Passing of the Pay Car. The Railroad Gazette, New York: July 26, 1907. An engineer's view of the new water tank and windmill at the Oakdale depot. In my scenicking work at Oakdale, I had left the last eight inches on so next to the aisle for last so I wouldn't be continually undoing my work. I've finally gotten to the point where I have been able to work on this area. 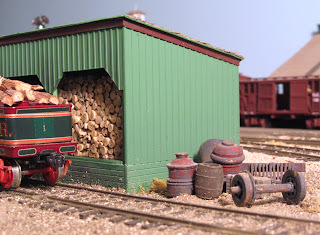 for the storage of firewood. 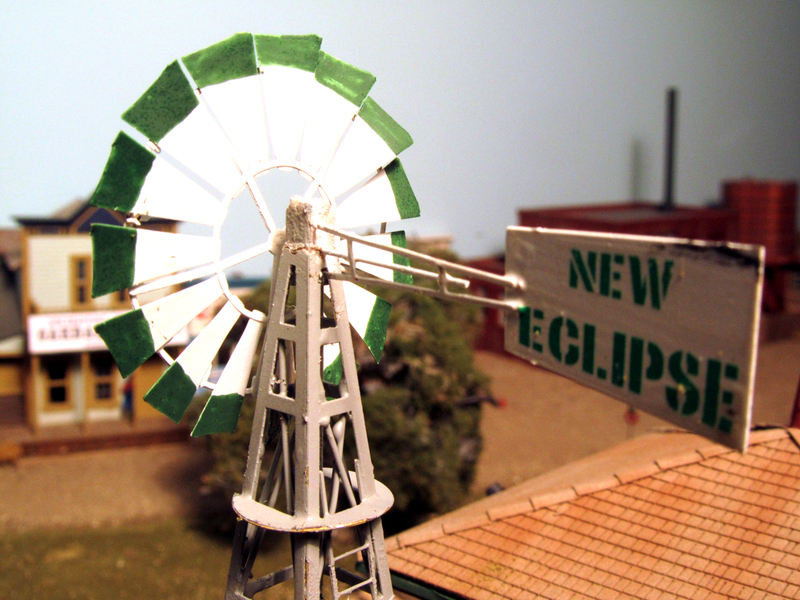 A windmill was also built to pump water into the tank. 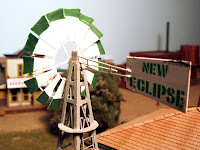 The spout on the tank was a Grandt Line product while the windmill itself was built from an etched-brass kit formerly made by Sheepscot Models. 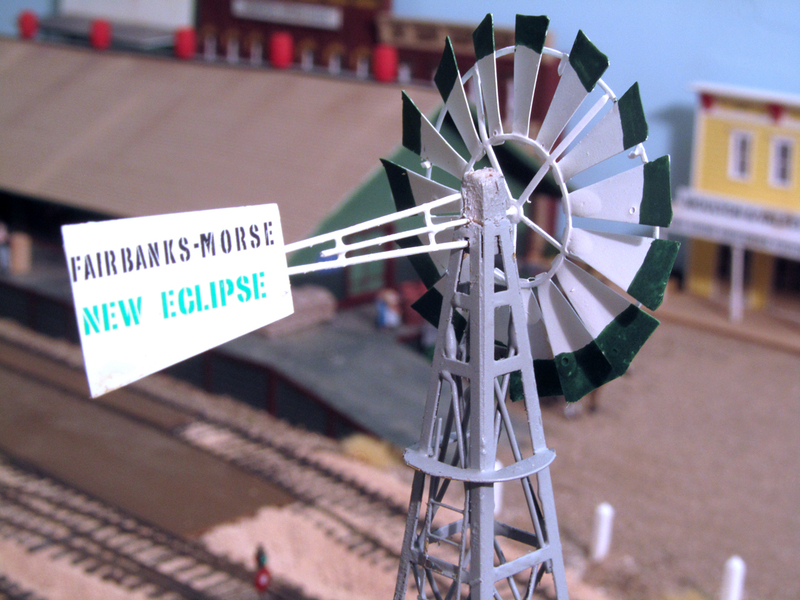 The vane lettering was taken from a period Fairbanks-Morse Eclipse windmill of the turn-of-the-century. 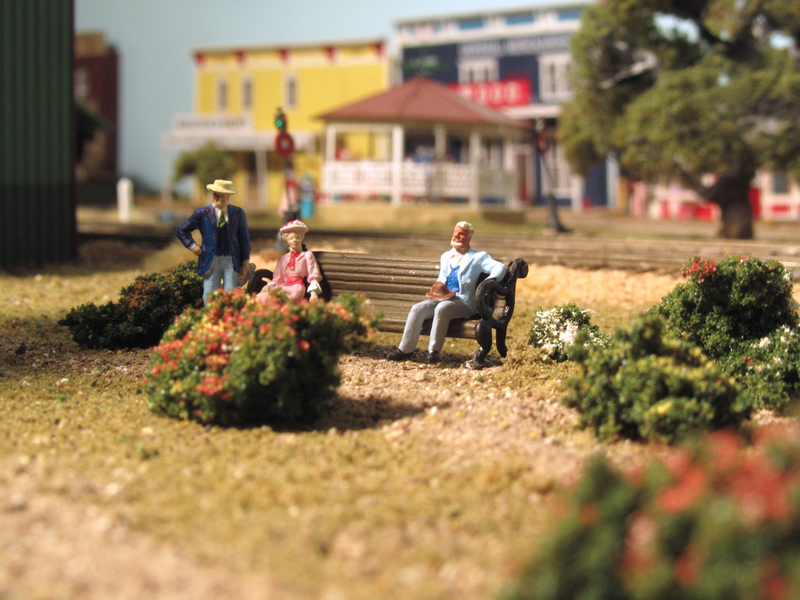 Railroad Park just south of the water tank. 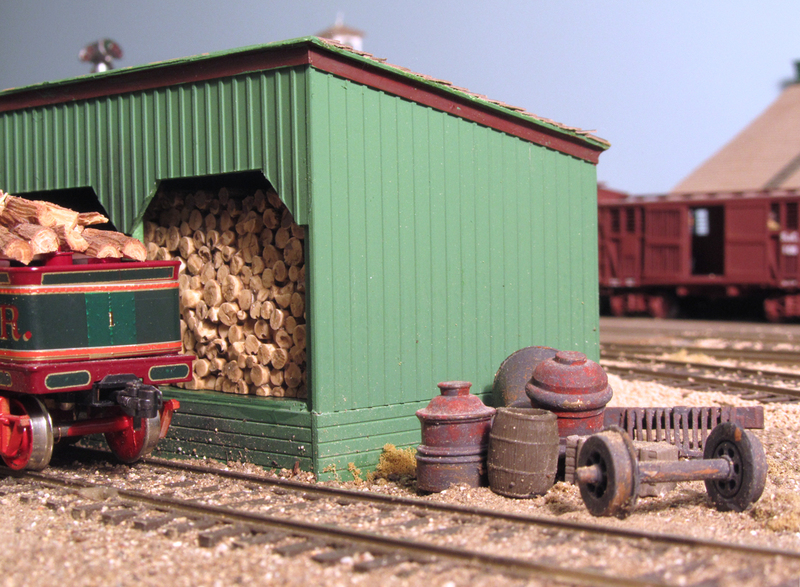 Wood posts keep errant wagons from encroaching on the park. 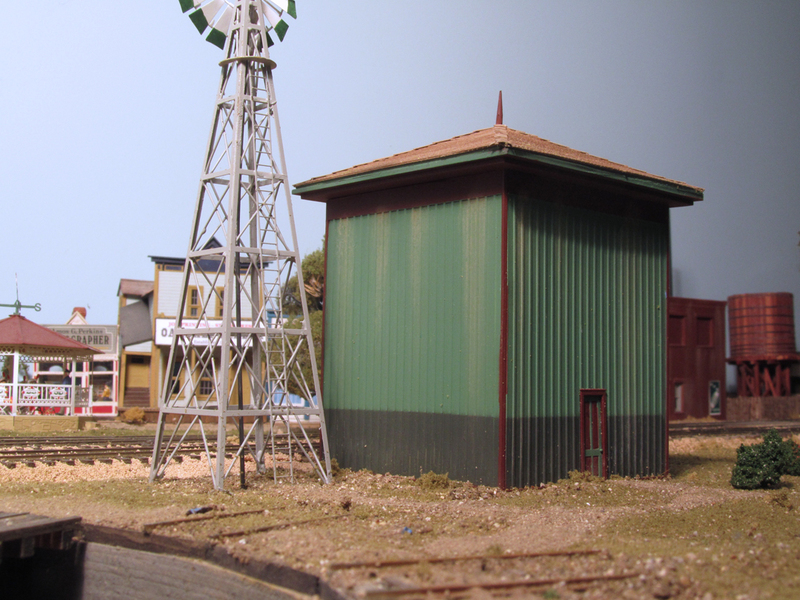 Adjacent to the prototype water tank at Oakdale was a small park. I have not yet been able to locate photos of this park but railroad drawings seem to indicate just some trees and a large expanse of grass. My version also contains a number of paths and flower bushes to add some interest. 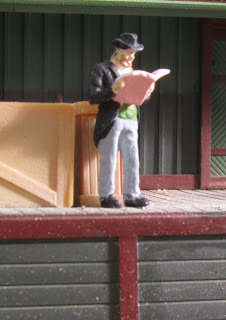 Last night, I painted about ten new figures for the railroad. I find that figure painting is very relaxing for me and I use mostly Preiser old-time figures. 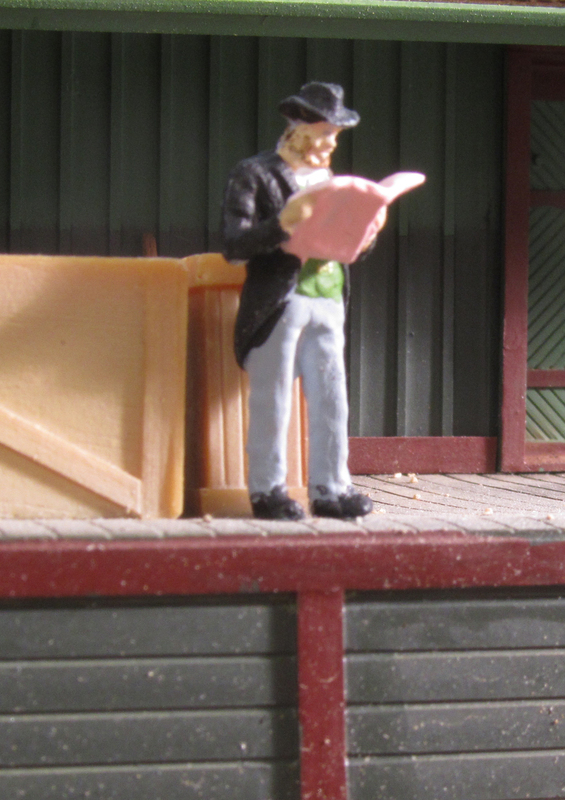 The gentleman on the left is standing slightly away from the rest of the traveling public since he is reading a rather racy periodical of the time, the Police Gazette. You could always identify the Gazette since it was printed on pink paper to make it stand out.